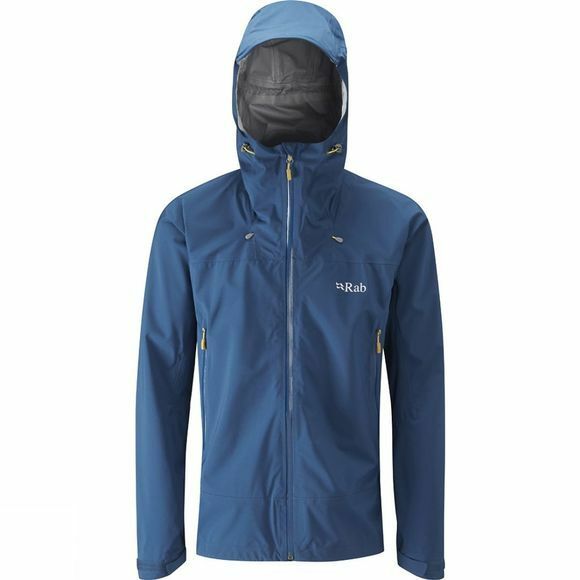 The Men's Arc Jacket from Rab is a stretchy waterproof jacket that utilises Pertex Shield+ fabric to offer excellent comfort and protection from the elements. A full length zip on the front of the jacket is water resistant to help keep the weather on the outside and an adjustable hood can be cinched in for maximum protection when the conditions require it. There are two zipped hand pockets on the jacket that are ideal for stashing essentials securely while on the move and these are positioned so as not to interfere with your harness or rucksack hipbelt.